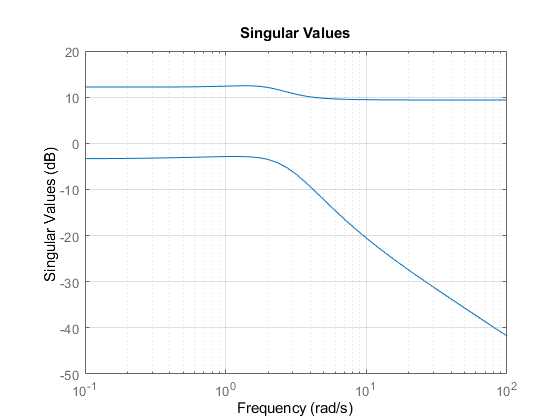 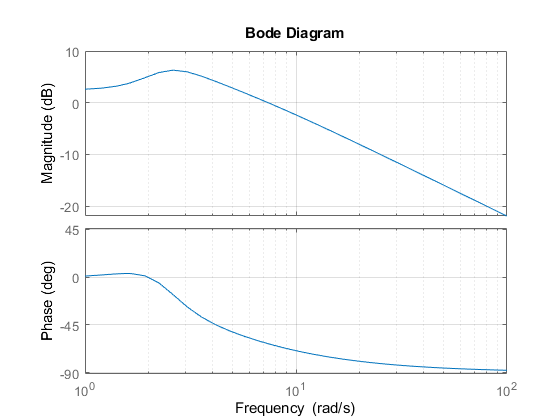 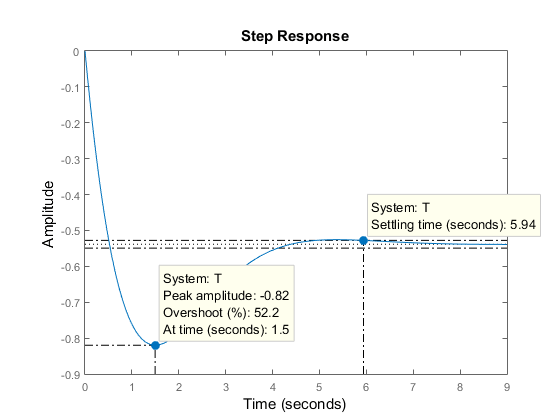 This example shows how to plot the time and frequency responses of SISO and MIMO linear systems. 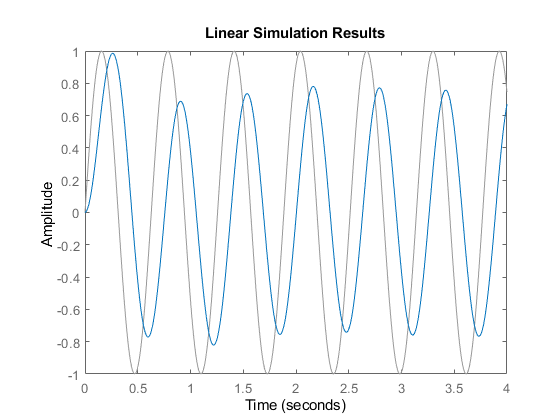 You can also simulate the response to an arbitrary signal, for example, a sine wave, using the lsim command. 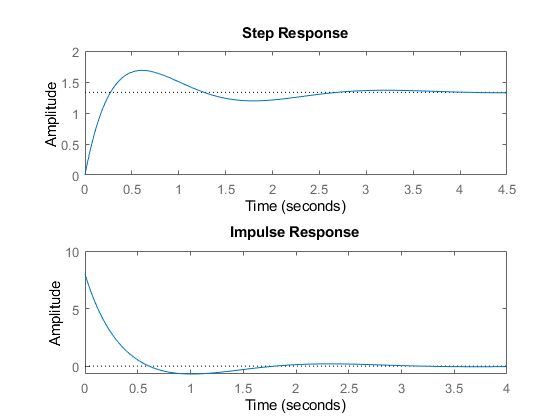 The input signal appears in gray and the system's response in blue. 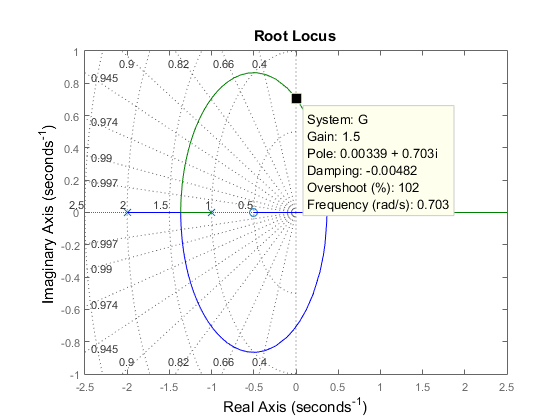 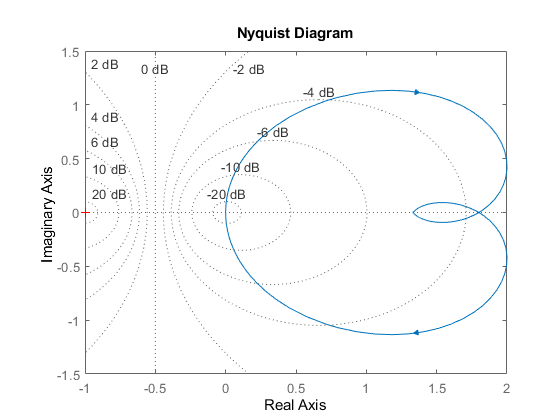 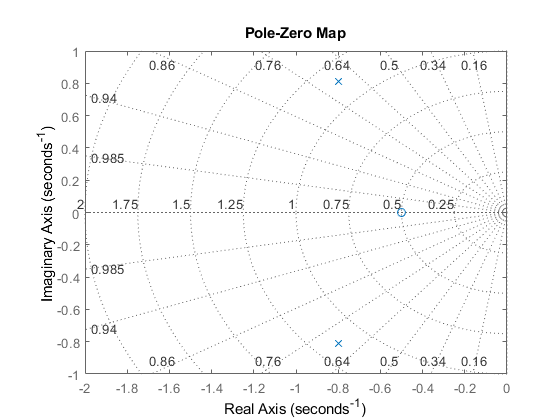 Clicking where the locus intersects the y axis reveals that the closed-loop poles become unstable for k = 1.51. 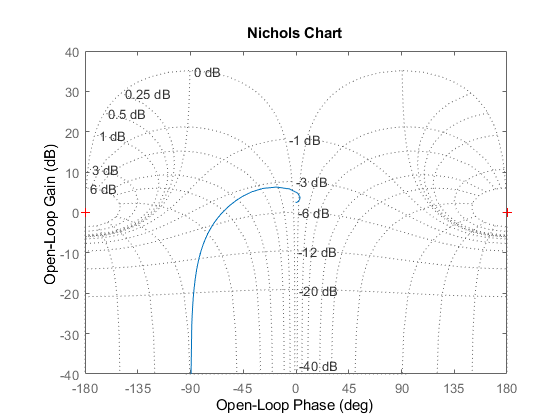 So the loop gain should remain smaller than 1.5 for closed-loop stability. 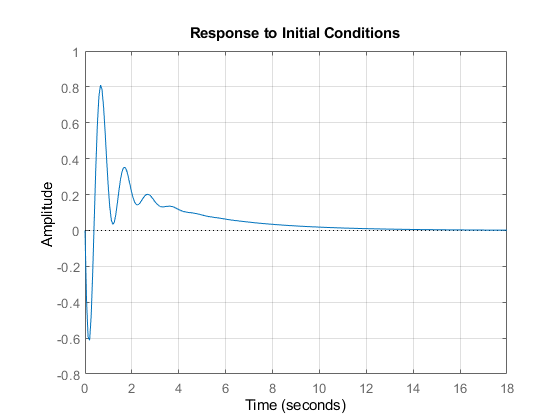 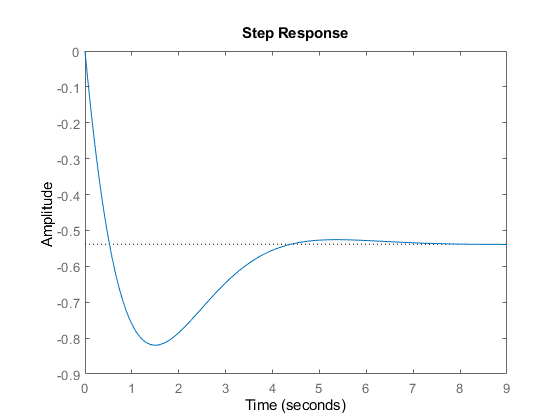 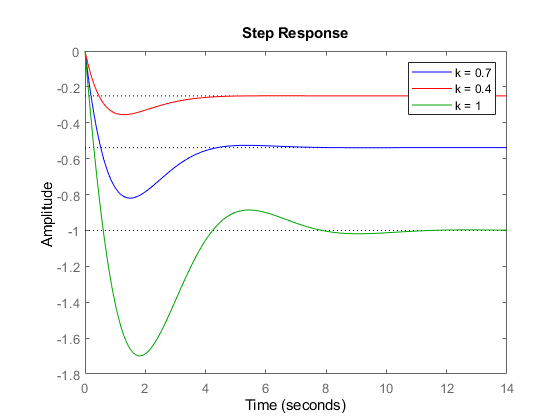 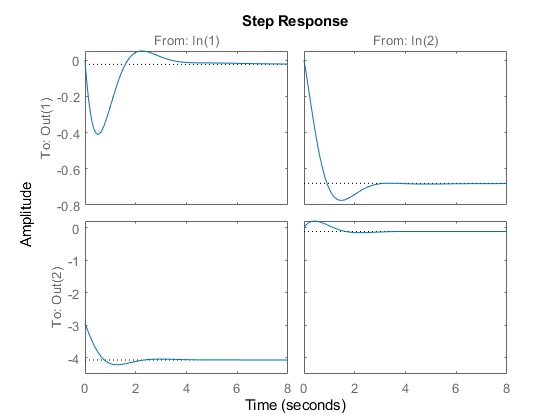 Right-clicking on response plots gives access to a variety of options and annotations. 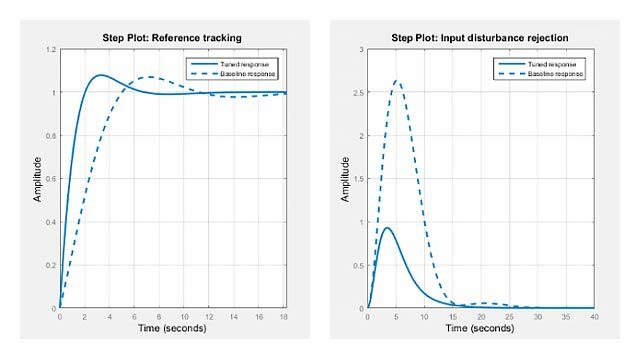 In particular, the Characteristics menu lets you display standard metrics such as rise time and settling time for step responses, or peak gain and stability margins for frequency response plots. 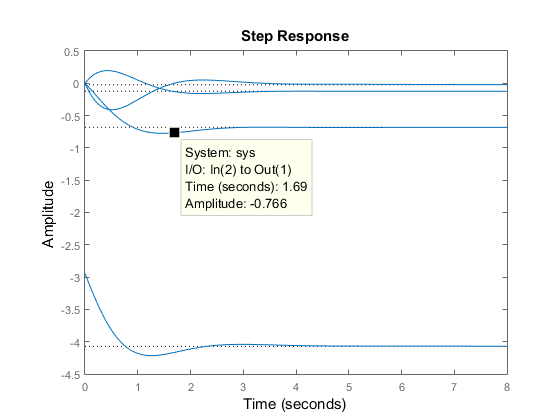 If desired, you can group all four responses on a single plot by right-clicking on the plot and selecting the I/O Grouping -> All submenu. 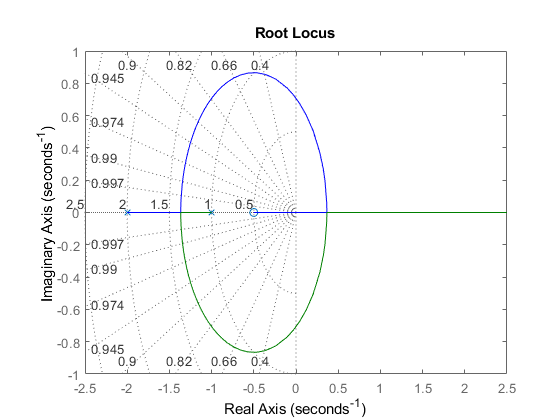 The resulting plot is shown below.